The revolutionary proliferative peels created by Agera® Rx are non-irritating, pain free and cause no down time from skin shedding, redness or irritation. 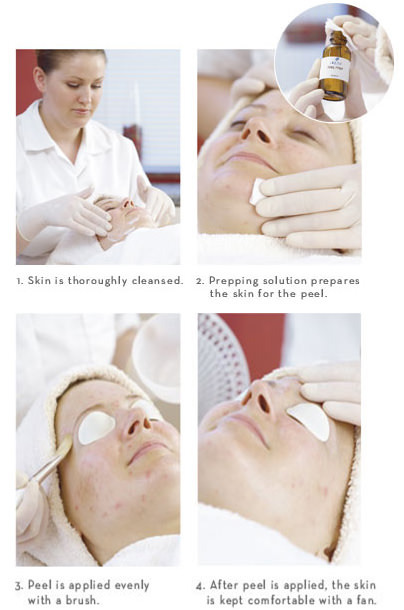 These unique treatments cause significant stimulation of the fibroblasts deep within the skin to produce new collagen and elastin. This proliferative effect on the skin's cells delivers many anti-ageing benefits without any unsightly skin shedding or redness. After only one session, the skin will look clearer, smoother and brighter. For maximum results a course of Agera® Rx skin peels can be combined with medical microdermabrasion. Ask me about my unique clinic code, for a 10% discount on the Agera® Rx Skin Care range.